Some people argue that having multiple credit cards is a sign of financial well-being. Others argue it’s a sign of poor money management. 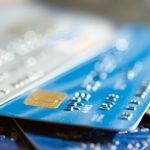 There’s no golden rule as to how much plastic you should carry, but before you apply for your second, third, or umpteenth credit card, you’ll want to read this article. 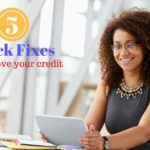 As you know, there are five things that make up your credit score: new credit, credit mix, length of credit history, amounts owed, and payment history. Having a low amounts owed in comparison to your total credit available — or having a low credit utilization ratio — is associated with a higher credit score. You’ll have a higher total amount of credit available when you have multiple credit cards, thus making your credit utilization ratio go down. In this way, you could experience an increase in your credit score. The key here is not to let your spending creep up along with your available credit. If you have one credit card, you are limited to the rewards that come with that specific card. There isn’t one card that offers top-notch rewards in every category. For this reason, it’s beneficial to have multiple credit cards if you want to maximize your rewards. You can sign up for different credit cards that offer specialized rewards programs. Want 3% cash back on gas purchases? There’s a card for that. Want higher-percentage rotating rewards categories? There’s a card for that, too. You can choose as many cards as you’d like to mix and match your spending habits with the best rewards programs. If you have one credit card that you use for absolutely everything, an act of fraud could be devastating. The perpetrator would have access to all your accounts. When you place a freeze on your credit card, you’ll be without that method of payment until a new one gets issued. If you have multiple credit cards that you use for multiple purposes, an act of fraud becomes less devastating. You can simply change your information on the affected accounts to one of your other credit cards, while the one that was compromised gets replaced. When you have multiple credit cards, the potential for overspending is real. This seemingly obvious point really shouldn’t be overlooked. If you have four cards with credit limits of $2, 000, $5, 000, $10, 000, and $15, 000, you have the potential to spend $32, 000! Although purchasing power is good, it can get you in real hot water if you take advantage of it and don’t have the money to pay your balances. Credit card debt is something you want to avoid if possible because interest rates can be very high. Managing different statement due dates can be a task on its own. Let alone keeping track of balances, and making sure you don’t spend too much on any one card. That’s why some argue against having multiple credit cards — it can become complicated! When you have just one credit card, you know when the bill is due each month. You know exactly what your credit limit is and how much you spend on it. It’s just easier to manage overall. Generally speaking, the more places you have your personal information, the higher your risk of identity theft. Having your information with three credit card issuers instead of one, for example, can put your information in greater danger of being hacked. In addition, the more credit cards you have, the more chances there are for one of them to go missing and be used by an unauthorized user. Credit card companies are pretty good about not leaving you liable for unauthorized purchases. But the headache that comes with fraud is enough to make one steer away from having multiple credit cards. How many credit cards you have will ultimately come down to personal preference. If you’re excellent at managing bills and sticking to a budget, having multiple credit cards to take advantage of specialized rewards programs may be the way to go. If you’re new to credit or haven’t had the best history with spending, you may want to stick with having a single credit card. Just make sure you take into consideration the pros and cons mentioned here. I learned the lesson of using one card for everything 5 years ago. Every time the card was changed , either for fraud or one of my sites that stored my card was hacked, I had to get in touch with about 25 sites that store my card. Now I have 2 cards with Fidelity Investments (the best card on the market, barring none). One I use everyday. The other is used for automatic billing or sites like Amazon and Hertz. I keep the second card in a drawer at home and never take it with me. When I am hacked, there is no problem. I’ve gotten more than $3,000 in bonus points and cash rewards from credit cards over the past couple of years. I don\’t think it is a bad thing to have more than one card – as long as you can manage them well and be responsible. It is important to be knowledgeable to about how credit works, pay your payments on time, and keep an eye on your credit report. Thanks for sharing!